I have been feeling a little off lately. Just not myself which has translated into a scrapbooking slump for a few days. I also think that this contributed to the muffin mishap on Sunday (see earlier post), clearly I was not thinking properly, ha. 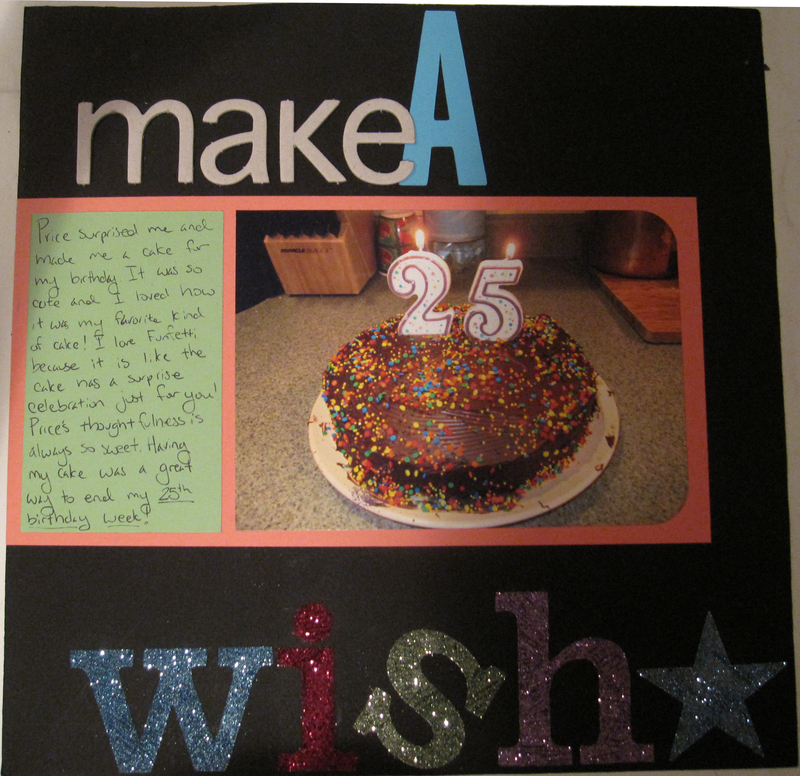 Well I finally told myself to shake it off and get back to being crafty. I have been thinking about this layout for a few days but have just been putting it off. It’s kinda simple but that was sorta all I could handle last night. I have had these Stickycut Letters from Stampin’ Up! for a long time. 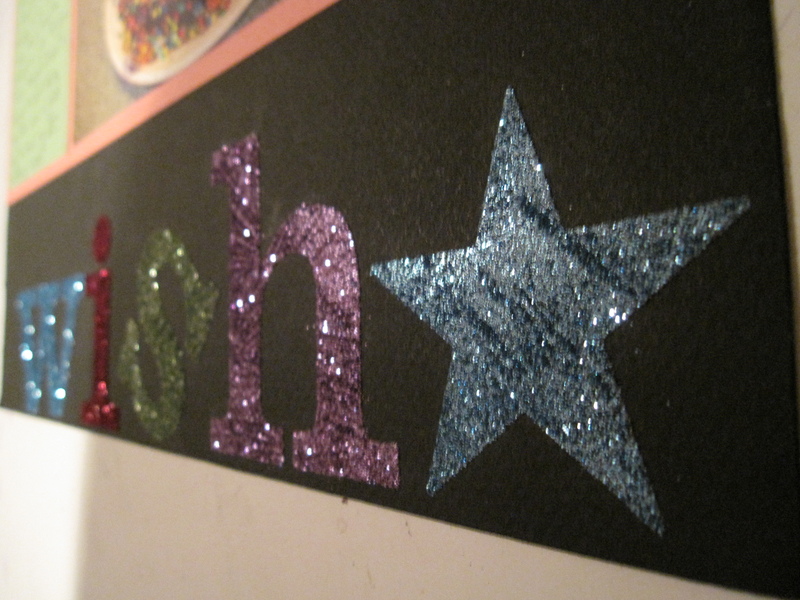 I decided that I would used them for this layout and use glitter to make a bold title. I made a horrible mess on the floor, table, and my face. Price said he could see glitter all over my face… great, I hope I got every speck off in the shower this morning. Either way I love glitter and I have a feeling I’ll be using these Stickycut Letter a lot since they are made for glitter and beads, and I imagine sand would work too! so fun! I know that glitter is a killer!